Good Hair Day, The Beauty Palace and the Xi Theta Omega Chapter of Alpha Kappa Alpha Sorority are partnering to give away 4 make overs. If you know a woman that is currently battling or who has survived breast cancer, nominate her for a FREE makeover! 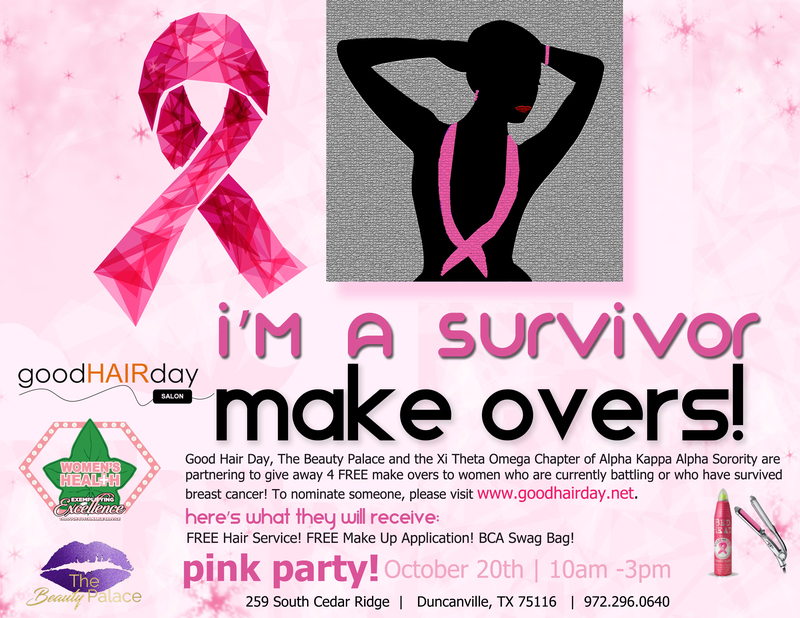 The recipients will receive a FREE hair service, FREE make up application and a FREE Breast Cancer Awareness Swag Bag. All services will be performed on October 20, 2018 between 10am – 3pm at a Pink Party held in the recipients’s honor! Before & After photos will be taken and published.